The City of Ferndale Parks and Recreation will soon offer adults ages 50+ a new way to stay fit. Thanks to an instructor training grant from the National Recreation and Park Association (NRPA) and the Centers for Disease Control and Prevention (CDC), Ferndale Parks and Recreation will offer the Walk With Ease (WWE) program to the Ferndale community. Ferndale Parks and Recreation is one of 88 park and recreation agencies to receive the WWE instructor training grant. Ferndale’s recreation programs have long been centers of health and wellness in the community. The WWE program, developed by the Arthritis Foundation, is scientifically proven to help reduce pain and stiffness associated with arthritis, and offers benefits for people managing other chronic conditions as well. Studies by the Thurston Arthritis Research Center and the Institute on Aging at the University of North Carolina have shown that WWE contributes to reduced pain, increased balance and strength, increased levels of physical activity, and improved overall health. 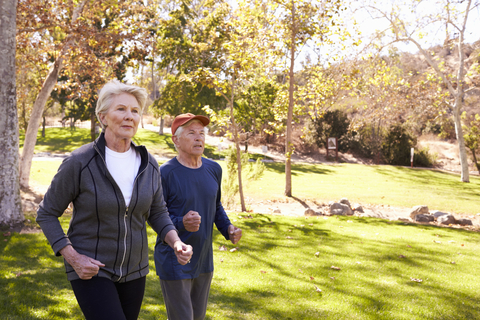 Together, NRPA and the CDC aim to reach more people living with arthritis and other chronic conditions to improve their levels of physical activity and quality of life. The classes are ideally suited for anyone interested in a low-impact exercise program in their local community, especially those looking to manage their chronic condition. For more information, contact Ferndale Parks and Recreation at 248-544-6767.